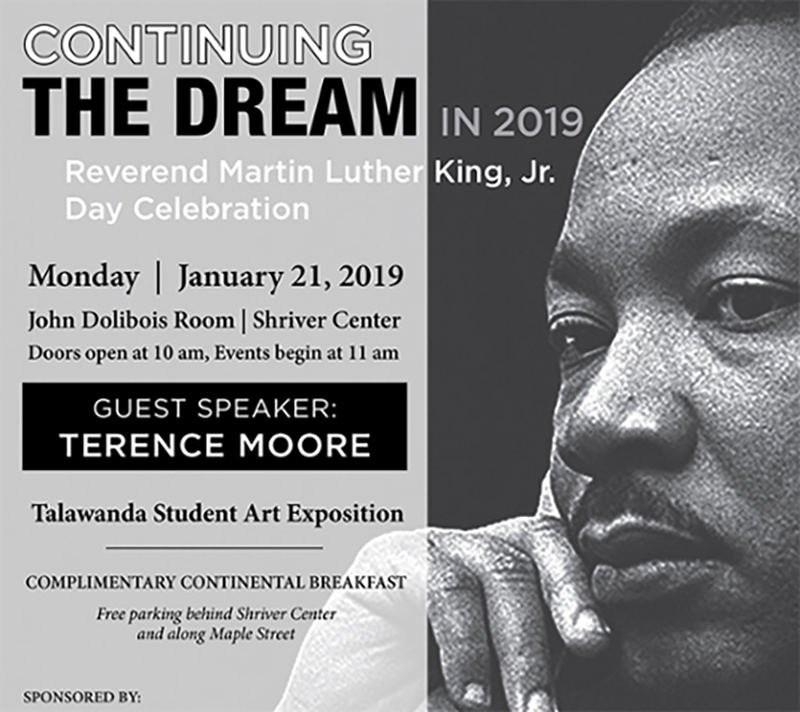 "Continuing the Dream in 2019," a community celebration of Martin Luther King Jr.
"Continuing the Dream in 2019," a community celebration of Reverend Martin Luther King Jr. , will be held at 11 a.m. Monday, Jan. 21, in the Dolibois Room, Shriver Center, on Miami University's Oxford campus. Doors open at 10 a.m. for the free event. The event includes a complimentary continental breakfast, Talawanda student art exposition, speakers, music and more. The guest speaker is Terence Moore (Miami '78) nationally-known sports columnist and sports commentator and part-time instructor in the department of media, journalism and film. The event is sponsored by City of Oxford, Oxford NAACP @ Talawanda School District, Oxford Community Arts Center, Smith Library of Regional History, Oxford Citizens for Peace and Justice, McGuffey Montessori School, and Miami's Center for American and World Cultures, office of the president and office of residence life.